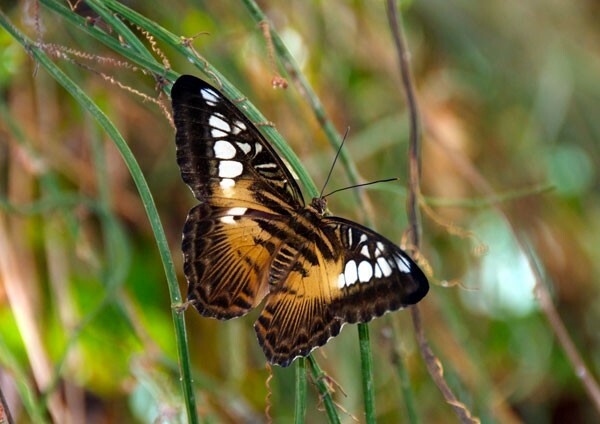 Posters or canvas printing depicting a field of long grasses amongst which a Clipper Butterfly flits - its tiger like markings acting as camouflage. The Clipper is a fast flying butterfly and often flies with its wings flapping stiffly between the horizontal position and a few degrees below the horizontal. A field of long grasses amongst which a Clipper Butterfly flits - its tiger like markings acting as camouflage. The Clipper is a fast flying butterfly and often flies with its wings flapping stiffly between the horizontal position and a few degrees below the horizontal. Clipper Butterfly (Parthenos Sylvia).